Prove My Max is an app for those who enjoy working out. It doesn't matter if you are an amateur or a pro, you'll have fun. 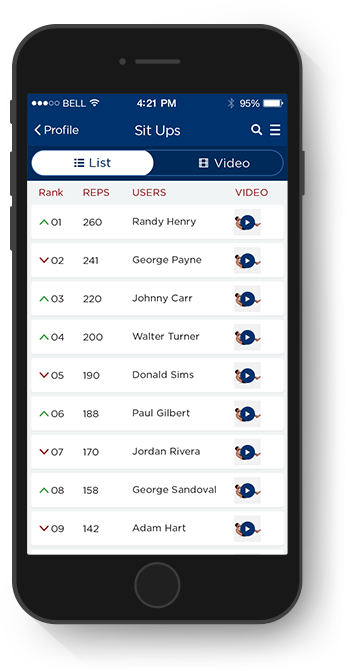 View others workout videos, upload your own and see where you rank in comparison. Push yourself to beat out others for the top spot. ProveMyMaxFree iPhone and android workout application for fitness enthusiasts! Getting in shape requires motivation, hard work and a routine. Nothing drives this motivation better than competition! Our free fitness app for iPhone and android is here to help you stay in competition. 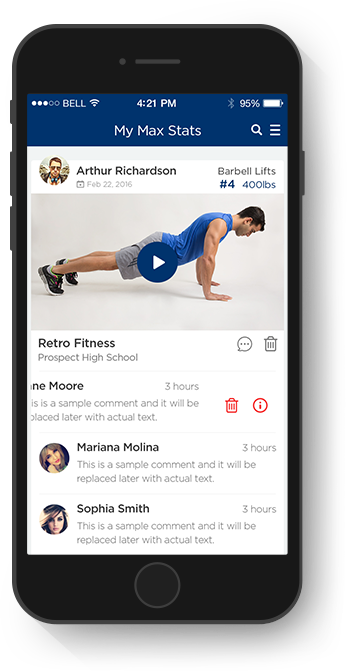 Shed pounds, maintain a routine and upload your workout videos on ProveMyMaxyour favorite android and iOS social workout app! 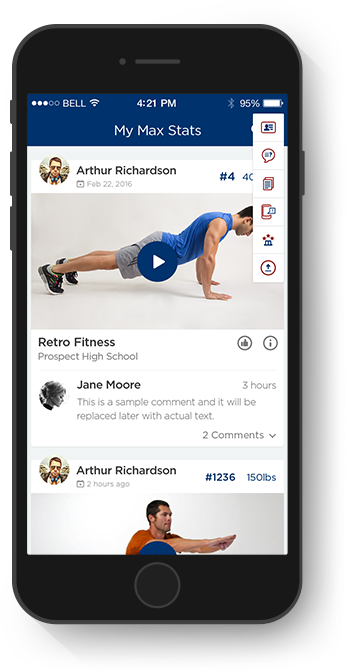 You can view your current rank among other fitness lovers, and push yourself harder to get on the top. Share your workout routine and watch what drives others. Learn from them. Challenge yourself. There are multiple categories; compete and get on the top of your fitness game! If you’re motivated and working hard already, you only need a free download of our amazing app! Enjoy being fit and social with ProveMyMax and break records to climb to the top! It’s the perfect fitness app for amateurs and pros! All provisions of the Terms which by their nature should survive termination shall survive termination, including, without limitation, ownership provisions, warranty disclaimers, indemnity. provemymax@gmail.com and we will promptly remove you from ALL correspondence.